There's nothing better than my dogs stuffing their noses in their stockings on Christmas morning to "tear open presents" (aka I help them). If you're anything like me, then you're currently ordering last minute gifts on Amazon prime. Here's a little gift guide if you're shopping for your fur babies or a dog lover! 1. National Parks Pass - Good for the year and grants access to any National Park* (some parks might have different rules during busy season). 2. 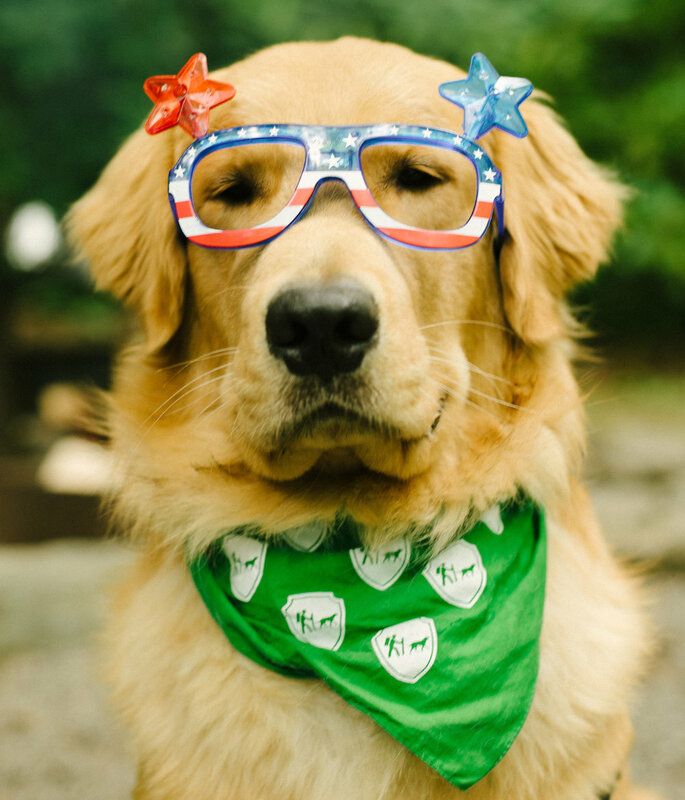 Camping with Dogs bandana - Keep your dog stylish on those outdoor adventures! 3. Easy Walk Harness - A lot of people ask which harness I use; this harness discourages pulling which can be useful anytime but especially when hiking for miles. 4. Ruffwear Collapsible Bivy Bowl - I like the collapsible bowl best because it slides into the back of my pack where my water bladder is. 5. Custom Dog Name Tag with Mountains - I randomly stumbled upon this Easy shop and I love that there's a dog tag for every style; this is for the adventurer. 6. Garmin Fenix 5S - I'm obviously biased but a Garmin activity tracker is a must for the adventurer. I used to use the Garmin Forerunner but once I became a Garmin ambassador, I became glued to my Fenix 5S (even at work!). I track every activity I do with my dogs on here; that way I know how far I've hiked and where (along with a slew of data analytics through the app). 7 & 8. Oru Kayak - I first purchased the Bay Kayak from REI in 2015; Aspen and I fit in it snuggly (Koa can't fit). When I was an Oru ambassador, I was gifted the Beach Kayak which has a LOT more room, fitting either Koa or Aspen. If you're going to splurge on a new kayak, this is the one I'd recommend. 1. Orvis Buffalo Check Dog Jacket - I got this for Aspen right after her surgery and may or may not have bought a matching jacket for myself. 2. Personalized Leather Dog Leash - I don't have this but I love anything personalized and monogrammed (I am from the south after all). This is on my wish list for the spring! 3. Southern Pup Bowtie - What I love most about these bowties is that they're detachable. You can pair any collar with any bow or bowtie on the site. 4. Mark & Graham Quilted and Personalized Dog Jacket - This is on my wish list for Aspen; a perfect preppy jacket for colder days around the city. 5. Nulo Grain-Free Trainer Treats - It's no secret that I'm a Nulo ambassador; we loved their food so much that we switched after our free trial. The dogs lost 20 pounds collectively as a result. Nulo sent these to Aspen as a "get well" treat and we couldn't be happier; I use these treats to train both pups. 6. Bully Sticks - I'm not married to a brand or company but I've recently buying the large packages from Costco. I'll give these to the dogs at restaurants and while kayaking to keep the dogs entertained. 1. 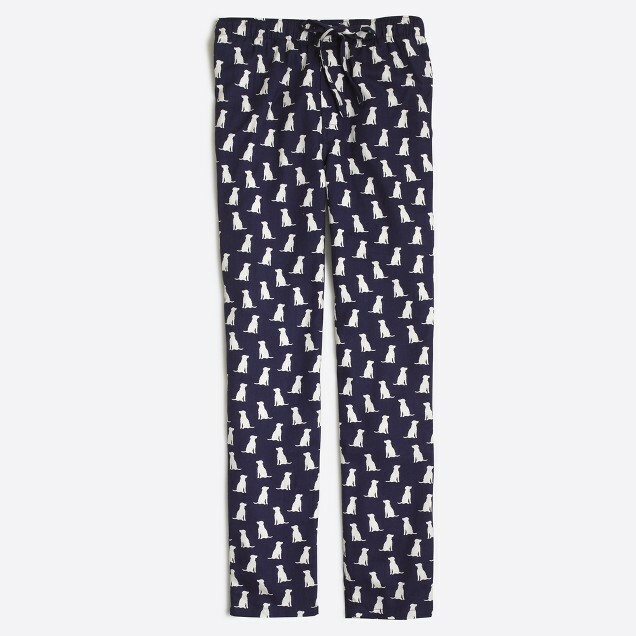 J.Crew Labrador flannel pajama pant - I can't find the Golden Retriever pajama pants I found at J.Crew earlier this year but these are a close second. 2. Personalized Orvis Dog Bed - I really can't choose just one but I'm especially smitten with the plaid style. 3. 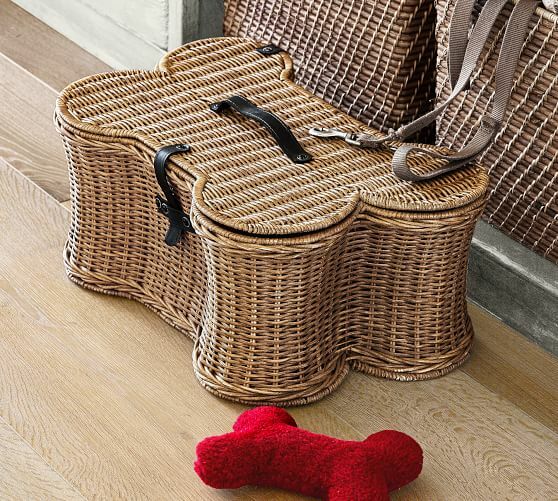 Pottery Barn Dog Toy Basket - If I regularly threw out old/torn dog toys, then this would be the ideal toy basket. It's on sale now too! 4. 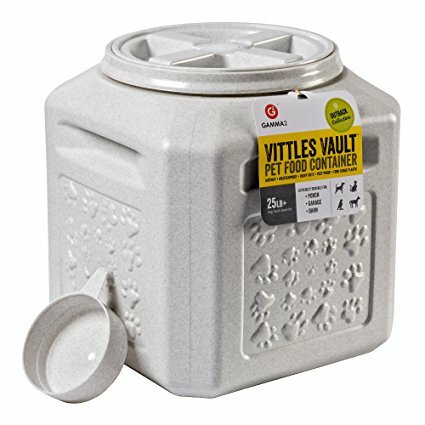 Gamme2 Vittles Vault Plus for Pet Food Storage - I bought several of these from Home Goods and they're perfect for the family always on the go. I keep one at my parents, one at my house. 5. Wayfair Sofa Slipcover - I desperately need to protect my couch from dog fur (EXCESSIVE golden retriever hair) so I'm currently eyeing this. And no, "no dogs on the couch" is not an option for me anymore. We like to snuggle to Netflix after all! 6. Squirrels in a Log Dog Toy - My friend bought this for my dogs and it's probably their favorite toy to date. I just bought the bees in a hive version as part of Aspen's holiday present. 7. Dog Seat Cover for Cars - Don't let the awful image put you off. My parents bought this for my birthday and it's the best thing in my car to protect again slobber and hair proving you don't need to spend $100 for an effective cover. What's on your list? Happy Holidays! Note: None of the images are my own unless they're of my dogs. I haven't been paid for this post or required to post any product for a company by which I'm sponsored. I've received free products or sponsorships from the following companies which are included in the list above: Garmin, Nulo, Oru Kayak, Ruffwear and the Southern Pup.